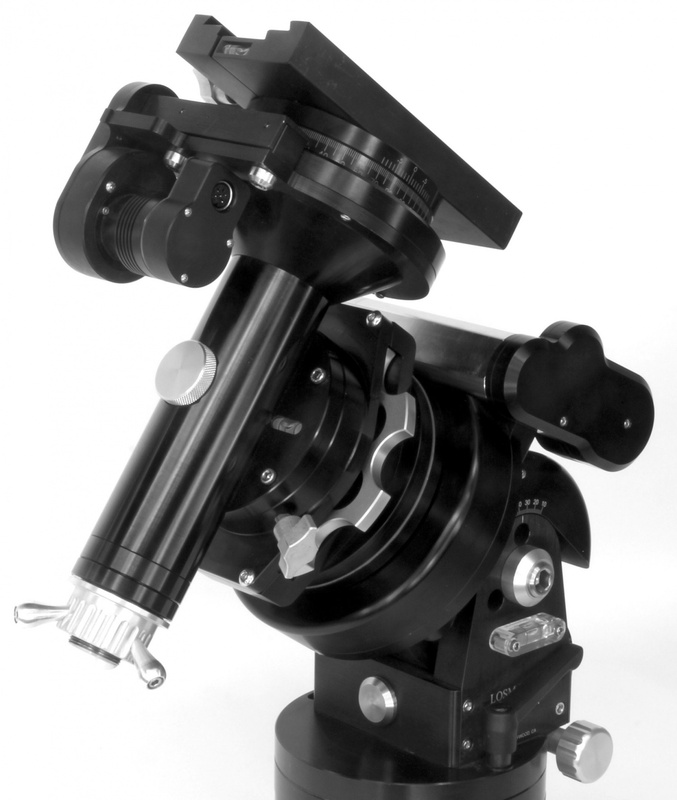 The Losmandy G11-GT is the same high precision mount as the standard G11-G, but with the upgraded Titan RA Axis. This upgrade improves payload and precision for ultimate performance. A lovely system for the astrophotographer in mind. This model is available as a mount head only, and with the HD tripod. Please note the Titan RA Axis upgrade is available on it's own for current G11 users should they wish to upgrade. Equatorial Head Weight 62 lbs. Dovetail plate drops in and locks allowing for interchanging of any tube assembly - reduces the need for DEC weights. All machined aluminum and stainless steel, black anodized. 3.100” diameter sealed ball bearings for worm gear. Fully locking, unique tangent arm design altitude adjustment, 12-70 degrees, large knob for easy alignment. Laser engraved latitude scale in 2 degree increments. Single knob azimuth control, bi-directional +/- 10 degrees, X/Y axis leveling bubbles. Variable slip clutch, 6.0” diameter one knob design. 360 degree DEC. axis rotation allowing for continuous photographing through the meridian. Fully enclosed R.A. worm gear. RA Axis weight 44 lbs. Dual supported ball bearing housed ground High Precision Brass Wrom. One Piece Worm Block Design. Variable slip clutch, one knob design. 1.250” diameter stainless steel shaft. DEC. Axis weight 18 lbs. Folding leg design for easy transporting. Full Color Graphic Touch Screen clearly displays all functions. Classic four-button pattern for guiding, centering, moving and slewing on both the touch screen and tactile membrane on the rear. Programmable DEC. Backlash Compensation (TVC). Control panel dimmer, Day and Night Modes. Northern and Southern Hemisphere operation. Tiltable control panel for easy access. USB ports; Virtual COM to PC, ASCOM or planetarium program.